Only £13.00 and with free UK delivery, I don’t think you can find them cheaper many other places. These blue ones are my favourites but they come in loads of colours, I have some pretty boring ones in black, white, red and turquoise, but mostly wear just the black or red ones. 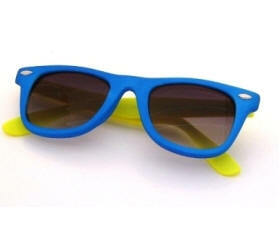 Find loads of cheap sunglasses at the SoSunglasses website!